View the entire table of contents for the Dec. 31, 1997 issue. December 31, 1997 Sparkling Values High quality and reasonable prices make this an opportune time to indulge in California's underappreciated sparkling wines By Jeff Morgan What is America's most unappreciated high-quality wine? California bubbly, of course. 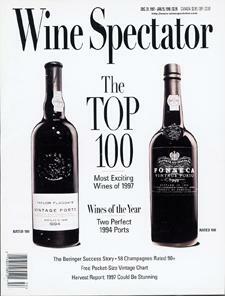 For the full article, check out the new issue of Wine Spectator, on newsstands December 31, 1997.